Since then the band has performed all around Southern and Central California, appearing on TV and in a number of independent films. Things slowed down in 1999-2000 as Howard focused on his newly started software company, Symas Corp., but with growing success there the band is once again moving forward. 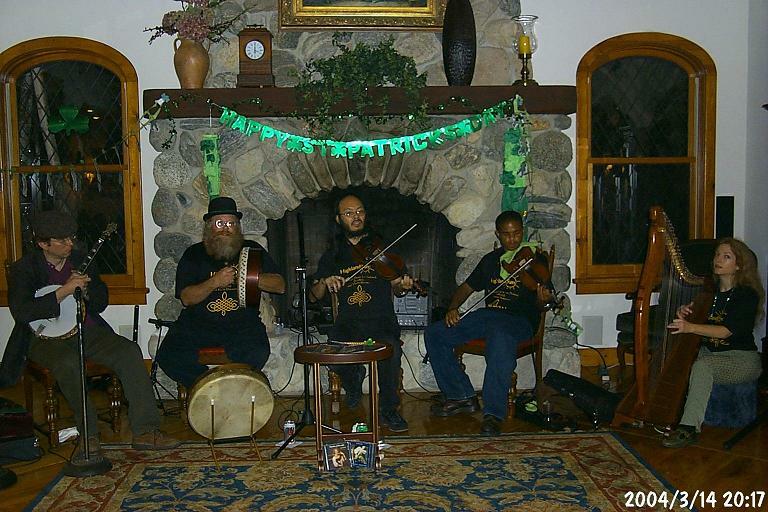 Notable recent appearances include the Getty Center (with Everything Celtic) in June 2003 and the Hollywood Bowl in July 2003 and August 2005.
on all the latest band activities! and are not shared with anyone else. You are visitor . Last updated 2006-08-18.